Guided Reading » Retell Literacy Center Activity – Brown Bear, Brown Bear, What Do You See? 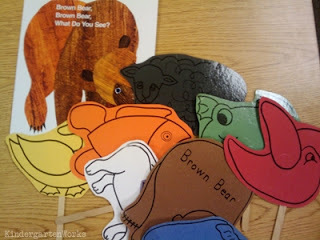 Retell Literacy Center Activity – Brown Bear, Brown Bear, What Do You See? 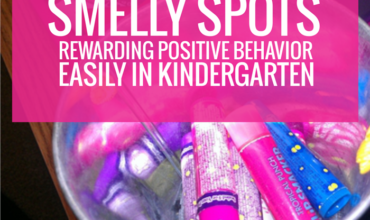 Active kindergarten activities are essential to my literacy center time. Students stay on-task better at our hands-on literacy centers in our classroom like the retell center. This is how I created a Brown Bear, Brown Bear, What Do You See? retell activity to go in our retell center as an option for students. It was really simple and all it took was printing a set of animals! They get to choose the book(s) they want to retell while they are at this literacy center. It’s one of my favorite literacy centers and we usually introduce Brown Bear, Brown Bear, What Do You See? in November. 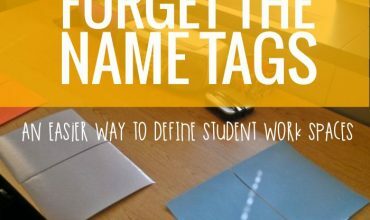 When students are familiar with a few color words is the perfect time to bring out this literacy activity. Students are ready to find the color words within the text to use it to support predicting what will be on the next page. Here are the props I printed (and you can too) to bring the book alive once we knew it by heart. If you have popsicle sticks left over in your craft cupboards, and can copy/print onto construction paper then you’ve got this one in the bag! When do you like to read Brown Bear, Brown Bear, What Do You See with your class? Do you have a favorite activity that goes with it? 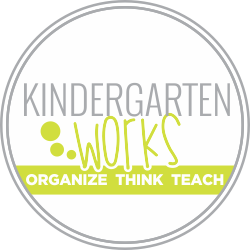 Thanks for all you do for teachers and our kids! I would like to see what is in all your centers.